[Video] Cool New ChARM EHR Features! We have something really exciting to share with you today. At ChARM, we focus on staying on the cutting edge of EHR solutions. 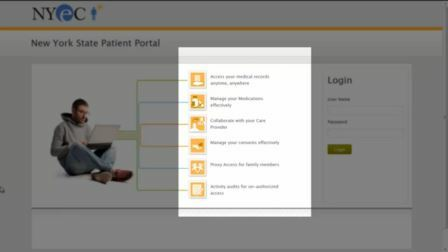 We hope that your patients are already using our PHR at www.charmphr.com, our free patient portal that connects directly to your ChARM EHR! As such, we are excited to share with you a short three minute video that demonstrates the upcoming Patient Health Records (PHR) portal that integrates directly into ChARM EHR. In fact, we've received such great feedback on the video, that we're now looking to be a finalist in the Patient Portal for New Yorkers EHR contest! But we need your help! Just click on THIS LINK, and scroll down to the ChARM EHR video to check out our new features. It's only about three minutes. Then, click on the stars below the video to give us a vote! Also, feel free to send us a note to let us know what you think of the new features. With ChARM PHR, your patients can make appointments directly though the online PHR, they can communicate with you online, send/receive labs, patient summaries and much more!